124 Spider ABARTH! Sport Leather Seats with Heated Front Buckets .. 17 Inch Gun Metallic Aluminum Wheels .. Kentucky's #1 Jeep Dealer! Since 1934! Shop Local! Go to CrossJeep.com for window sticker with detailed options. Want more pictures, videos, or a FaceTime Video on this unit send us a quick message! 5 Year / 60K Mile WARRANTY! Test out a Jeep on our Exclusive Jeep Test Track! 124 Spider ABARTH! Sport Leather Seats with Heated Front Buckets .. Navigation and Sound Group .. 9 Bose Speakers .. Brembo 4 Wheel Disc Performance Brakes .. 17 Inch Gun Metallic Aluminum Wheels .. Kentucky's #1 Jeep Dealer! Since 1934! Shop Local! Go to CrossJeep.com for window sticker with detailed options. Want more pictures, videos, or a FaceTime Video on this unit; send us a quick message! 5 Year 60K Mile WARRANTY! Test out a Jeep on our Exclusive Jeep Test Track! 11% Off MSRP!! 2019.. Spider ABARTH.. Black/Red Leather Seats.. Navigation.. 9-BOSE Speakers.. Brembo Brakes.. Hand-Painted Heritage Stripe.. Visibility Group.. Veleno Appearance Group.. 2D Convertible Louisville's Only FIAT Dealer!! 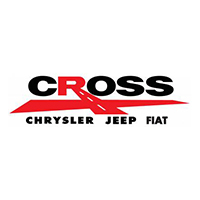 Go to CrossJeep.com for window sticker with full option details. Want more Pictures, Video, or Facetime on this unit send us a Quick Message!